The audio signal is embedded with the HDMI video. 1. Connect the USB cable to the source computer USB port. 2. Select the USB audio on the Playback tab of the Sound menu in Windows. 3. Select the input audio from the HDMI display menu. 4. Adjust the volume from the computer and the display. - Video resolution up to 1920 x 1200. 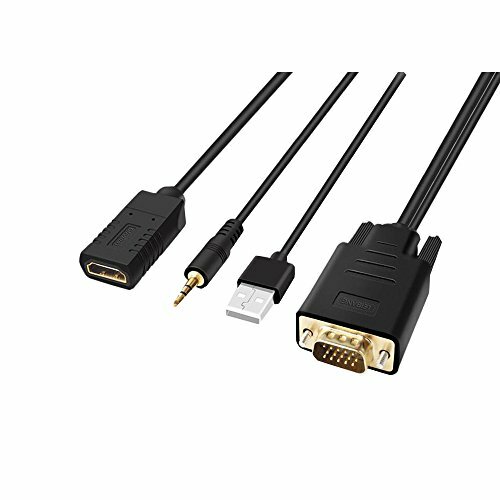 - Supports common VGA video resolutions. - Click and drag the application from the computer to the HDMI display.